“Obviously you can’t think about it while you’re playing, but you’re really not focused on it while trying to play for a national championship. I only had a few hours to really think about what I was going to do." 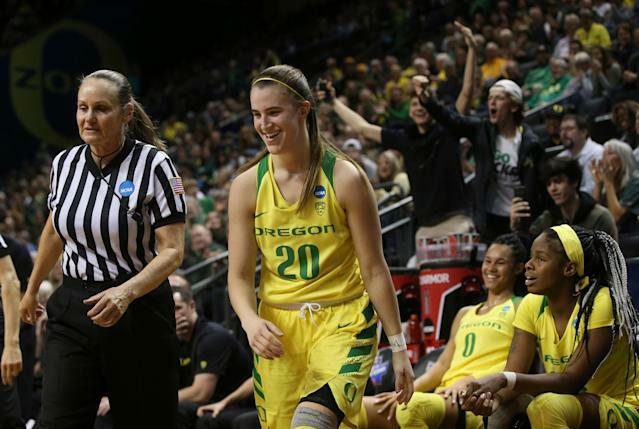 Oregon will be a favorite to win the title in 2020 and Ionescu will be must-watch TV. The Ducks increased attendance during her time and viewership for the women’s tournament continues to grow. Her brand and following will only grow, and when she enters the WNBA those fans will follow. She’s already made note of the pay disparity between the WNBA and NBA and to stay at Oregon, per Erik Skopil of 24/7 Sports, she’s enrolling in a Masters program for marketing, advertising and brand management.